I met Vladimir Balyberdin when we went to the USSR in 1990, just before the collapse of the Union. Vladimir had an outfit called Alpinist. 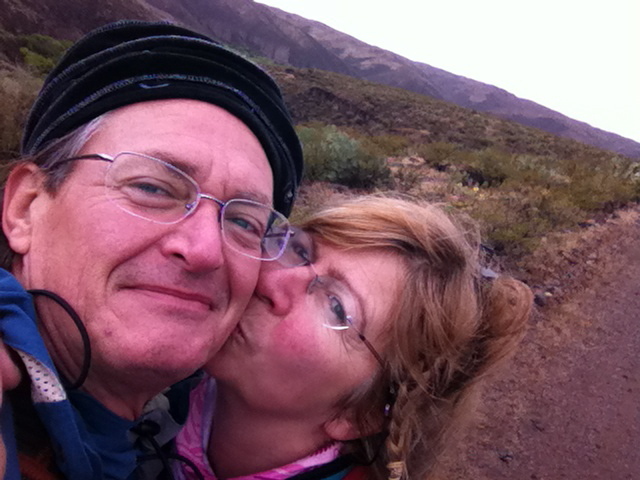 He organised our trip to Elbrus, via St Petersburg ( see The Wind in my Hair). The foot race up Elbrus was on , and Vladimir had questionned my not participating. ” When you are a soldier, you must aim to be the general!” My goal was to do what felt right, and competition with others was not part of it. Push my limits, certainly, mentally, physically and eventually spiritually, yes, I could relate to that. I was not able to communicate that to him. My Russian was limited to vodka and a few other useful words, his English not always the best. Years later, fifteen years after High altitude climbing became irrelevant (*), Eric and I looked at each other with the starry eyes of new love, and a century of living between us. We said, together, we will each be the best we have ever been. We are getting there, but right now, I feel like taking the pressure off. Since we met, we both lost our mothers, we learned to live and work together, we brought our shadow sides into the light, mirror shard by mirror shard. The season has turned, nature is slowing down, and so am I.
I now intend a mellowed version of being my best ever. Sorry Vladimir, still not a general, but getting better at aligning into love. It is my wish, as of Here and Now, to be the most loving, and most joyful, I have ever been. Voila! Ps: Resentment Fast going well! 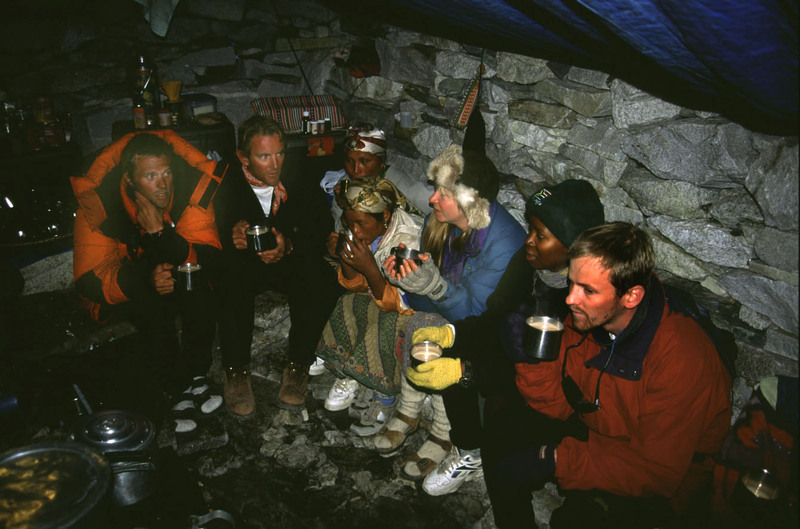 Thanks to my husband for bringing me into line when I forget..
Michael on the left, 1996 Everest expedition. 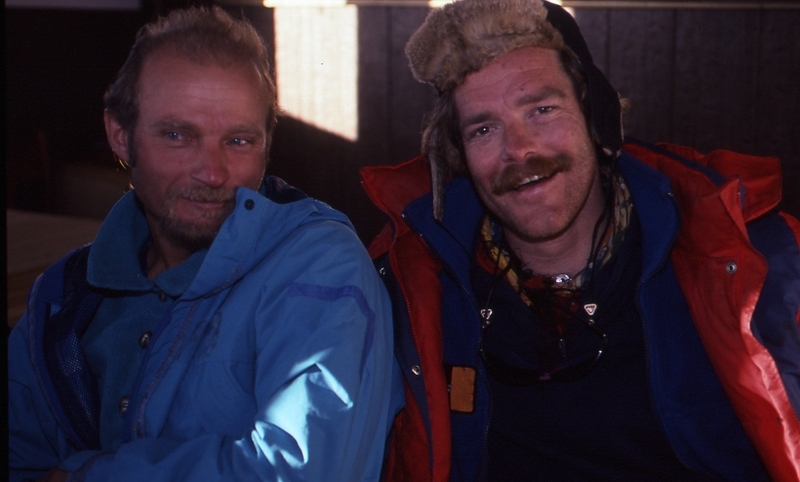 ( * ) I’d lost a very dear friend to an eigthousander: in 1999, Michael K. Joergensen had been killed abseiling from the summit of Makalu. The three expeditions attempting the mountain, Australian, International, and Swiss led, were climbing without sherpas and oxygen. All three were successful in reaching the summit.